Hiring an attorney should never be a snap decision. That's why FAMILYLEGAL offers a complimentary initial telephone or in-person Consultation to anyone interested in using our services. When you call us, we'll listen to your story, discuss your options, and help you decide what to do next. You can immediately meet with an experienced Attorney to discuss your case. You can Contact us at (603) 225-1114 and schedule an initial Consultation with an Attorney experienced in the specific area of law you need. Our Attorney will sit down with you and discuss your legal dilemma, explore your options, and provide you with honest, valuable, feedback on your specific situation. And, if you choose, you can get you started with legal representation right away. SUCCESSFUL, EXPERIENCED ATTORNEYS You'll find no "rookies" at FAMILYLEGAL. The Attorneys at FAMILYLEGAL have over 100 years of combined legal experience. What other law firm can make this claim? And because our Attorneys limit their practice areas, they are especially knowledgeable in the areas you need assistance in. In a nutshell, FAMILYLEGAL is a caring law firm that offers services to individuals just like you at prices that everyday people can afford. RESPONSIVENESS AND COURTEOUSNESS When you're facing serious legal issues, you want to know what's going on at all times. That's why the Attorneys at FAMILYLEGAL are committed to returning calls in a timely manner and being available to answer any questions you might have about your case. No matter how busy we get, our Attorneys make you a top priority. A COMPASSIONATE AND NON-JUDGMENTAL ENVIRONMENT Whether you're dealing with Bankruptcy, Divorce, or a Child Custody matter, the experienced Attorneys at FAMILYLEGAL understand that this is a difficult time for you and your family. You'll find that our Attorneys are caring, down-to-earth people who aren't in the habit of passing judgment on our clients. Instead, they treat you with courtesy and respect while handling your case. CONVENIENT EVENING AND WEEKEND HOURS Your life and your legal problems don't stop at 5 p.m., so why should your Attorneys? Call FAMILYLEGAL today at (603) 225-1114. Whatever your circumstances are, FAMILYLEGAL's highly skilled and experienced Attorneys are here to help you through these troubling times. Call our office today to speak with an Attorney for FREE. Call 603-225-1114 today! When FAMILYLEGAL was created, founder Jeffrey A. Runge envisioned a team of highly skilled and caring Attorneys who were willing to be givers, not takers, in representing their clients. Today, this philosophy still holds true. In fact, we think you'll find our Attorneys to be one of the best reasons for choosing FAMILYLEGAL as your law firm. FAMILYLEGAL represents people-not corporations. Plain and simple. Our Attorneys are people, too, and we understand that life can throw you curveballs once in awhile. As our client, you'll never feel as if you're being "talked down to" or judged. Making you as comfortable as possible while we handle your case is one of our top priorities. You'll be treated with respect, courtesy and compassion as we walk you through the legal process, step-by-step.HIRING A GOOD ATTORNEY DOESN'T HAVE TO COST A FORTUNE FAMILYLEGAL offers representation in the areas of Bankruptcy, Divorce, Custody and Family Law. We serve people from all walks of life that are in need of an experienced attorney but are unwilling or unable to pay the sky-high hourly rates that most attorneys charge. Cost is important to our clients. That's why FAMILYLEGAL's prices are typically more affordable than other attorneys offering the same or similar services. And what sets our Attorneys apart from the pack? In a word, experience. While many law firms may claim to offer quality representation, they simply don't have the experience to back this up. Our team of Attorneys at FAMILYLEGAL is made up of seasoned, knowledgeable Attorneys with many years of experience. Each of our Attorneys is typically a former solo practitioner who has been hand-selected for their dedication, passion, and success in practicing law. And what's more, since our Attorneys limit the areas in which they practice, they are highly skilled in the very issues that you need assistance with. OUR ATTORNEYS WILL FIGHT TO PROTECT YOUR RIGHTS FAMILYLEGAL offers a level of legal representation that's virtually impossible to find elsewhere at affordable prices. Through the use of our resources, drive and experience, our experienced Attorneys strive to maintain the highest standards of excellence when representing our clients. If you need legal assistance, call us today and speak with a Attorney at one of our Ten (10) convenient office locations serving Massachusetts, New Hampshire, Maine and Rhode Island. When the outcome really matters, you can depend on the Attorneys at FAMILYLEGAL to go to bat for you work hard to provide you with the results you desire. OUR ATTORNEYS AND STAFF If you are facing a legal issue and think that the Attorneys at FAMILYLEGAL could be of assistance, we encourage you to Contact us to schedule a FREE initial Consultation with one of our Attorneys. There is no obligation. However, this FREE initial Consultation allows our Attorneys the opportunity to review your current situation and legal dilemma, and offer you appropriate and effective options to meet your needs. At FAMILYLEGAL, your initial Consultation with one of our highly skilled Attorneys is always FREE. Call our office today at 603-225-1114. There is only one way to respond when faced with a Child Custody matter; take action and explore your options. Delaying, ignoring the situation, or doing nothing may only make your situation worse. Call FAMILYLEGAL today at (888) 725-0004. WHY CHOOSE FAMILYLEGAL? This is the first and probably best question to ask when selecting which Divorce & Family Law Firm to call. The answer is simple; at FAMILYLEGAL, we realize that good families often face troubled times. When you contact our office you will have the confidence that you are working with one of the areas most experienced and recognized Law Firms of its kind. FAMILYLEGAL is one of the largest Divorce & Family Law Firms in the area. Our experienced Attorneys have handled THOUSANDS of cases for our clients. What other Law Firm can make that claim? Our Attorneys are ready to guide you through the legal process to make sure your interests are protected so you are prepared to move forward with your life. At FAMILYLEGAL we work hard to keep your costs down. We understand that you are going through a difficult and emotional time. So, our fees are consistently below those of our competitors because we are much more efficient due, in part, to our large volume of cases. In fact, it is amazing to us that our competitors can actually get away with charging clients $300.00, $350.00, even $400.00 a hour in Attorney fees OR MORE for a case that we can typically handle for a fraction of those fees. However, we have witnessed over the last several years that potential legal consumers are becoming smarter when shopping for a competent attorney. Many consumers now realize that the entire legal process can best be handled by a law firm that leads the industry in quality, experience and affordability. This realization has made FAMILYLEGAL one of the largest and most recognized Law Firms of its kind in the area. Are you ready to move forward? Stop worrying and wondering about your rights and options in dealing with your legal matter - Take the first step and Call our office Now at (603) 225-1114. Hiring an attorney should never be a snap decision. That's why FAMILYLEGAL offers a FREE initial telephone Consultation to anyone interested in discussing their legal situation or learning how one of our experienced Divorce & Family Law Attorneys could possibly assist them. When you call FAMILYLEGAL, you will speak to an experienced Attorney who will listen to your situation, discuss your options, and provide a professional opinion on your case, and ultimately help you decide what to do next. You can immediately meet with an experienced Divorce & Family Law Attorney to discuss your situation at any one of our many convenient office locations Ã¢â¬â and itÃ¢â¬â¢s FREE. You can call us directly at (888) 725-0004, and schedule an FREE initial Consultation with an Attorney today. An Attorney will sit down with you and discuss your situation, explore your options, and provide you with honest, valuable, feedback on your specific situation. And, if you choose, you can get you started today. There is no fee or obligation to meet with one of our experienced Attorneys. Are you ready to move forward with your life? Stop worrying and wondering about your rights and options in dealing with your Divorce & Family Law matter - Take the first step and Call our Divorce & Family Law office Now at (888) 725-0004. You'll find no "rookies" here at FAMILYLEGAL. The Attorneys at FAMILYLEGAL are all serious and recognized Divorce & Family Law practitioners with centuries of combined legal experience. In fact, our Attorneys have over 200 YEARS of combined legal experience and are ready to use this experience to assist you with your legal matter. And because our Attorneys limit their practice areas, they are especially knowledgeable in the areas you need assistance in. In a nutshell, FAMILYLEGAL is a "big firm" that offers services to individuals just like you at prices that everyday people can afford. When you're facing serious legal issues, you want to know what's going on at all times. That's why the Attorneys at FAMILYLEGAL are committed to returning calls in a timely manner and being available to answer any questions you might have about your case. No matter how busy we get, our Attorneys make you a top priority. Need an appointment with one of our FAMILYLEGAL Attorneys immediately? No problem! Immediate appointments are always available. Whether you're facing Divorce or a Family Law matter, the experienced Attorneys at FAMILYLEGAL understand that this is a difficult time for you and your family. You'll find that our Attorneys are caring, down-to-earth people who aren't in the habit of passing judgment on our clients. Instead, they treat you with courtesy and respect while handling your case. Your life and your legal problems don't stop at 5 p.m., so why should your Attorneys? FAMILYLEGAL has Ten (10) conveniently located office locations that are open during evenings and on the weekends as you need. That means you don't have to miss work or rearrange your busy schedule to meet with an experienced Attorney. Allow us to earn your business. No other area Divorce & Family Law Firm offers you all of this: Ã¢âÂ AFFORDABLE Attorneys Fees - Save up to 50% or MORE. Ã¢âÂ EXPERIENCED Divorce & Family Law Attorneys. Ã¢âÂ RECOGNIZED Leader in the area of Divorce & Family Law. Ã¢âÂ FREE Advice over the Telephone from an Attorney. Ã¢âÂ FREE Consultation with an Experienced Attorney. Ã¢âÂ CONVENIENT Office Locations Throughout NH, MA, and ME. Ã¢âÂ COMPLETE and Confidential Professional Services. Ã¢âÂ STOP Worrying and Wondering About Your Rights. Ã¢âÂ KEEP Your Sanity and Dignity - Be Protected. Ã¢âÂ ACT NOW You Have Nothing to Lose. Sandra A. Kuhn serves as FAMILYLEGAL's Vice President and Director of the Bankruptcy Practice Group. While attending law school, Attorney Kuhn worked under the auspices of the United States Bankruptcy Court on the landmark bankruptcy case of In Re: Public Service Company of New Hampshire. While working at the Bankruptcy Court, Attorney Kuhn learned to appreciate the struggles faced by the working people in New Hampshire in a time of financial crisis as well as the challenges faced by the Court in administering justice. 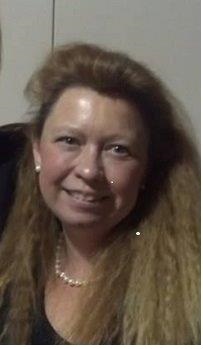 Subsequent to her graduation from Law School, Attorney Kuhn concentrated her practice primarily in the areas of bankruptcy and family law seeking to assist hard working individuals who, despite their best efforts, found themselves in a most unfortunate set of circumstances for which they needed effective, aggressive legal representation. Attorney Kuhn's commitment to hard work and dedication was fostered by her parents who were supportive of her career decisions and inspired her to realize her goals. Her father, a Navy veteran, always instilled upon her the need to work hard so as to become a leader in her chosen field. Her mother instilled upon her the need to advocate tirelessly for the needs of others who were unable to stand up for themselves. "I remember my father working sometimes two jobs to be able to make ends meat. Yet he and my mother always found time to spend with me to discuss current events, politics and the need to be self sufficient. They instilled upon me that to whom much is given financially emotionally and/or spiritually much is expected in the form of helping others". You work hard to support yourself and your family. You have tried to do everything right. You tried to pay your bills, but sometimes you can't. Sometimes it is just so overwhelming and a wave of helplessness rushes over you. If you can no longer keep your head above water due to a job loss, medical bills or high interest rate loans or credit cards, Bankruptcy may be a way to provide you with relief and a fresh start. Attorney Kuhn is a highly experienced Attorney who will provide you with options and give you the best advice possible. She will not judge you. She will not make you feel bad. She understands that this is not your first choice but that it may be your only option. Attorney Kuhn is someone that you can trust. Attorney Kuhn earned her B.A. from the University of New Hampshire and her J.D. from Franklin Pierce Law School in Concord, New Hampshire. Under her direction, FAMILYLEGAL has become the largest consumer Bankruptcy Law Firm in the New England area. She is admitted to the State and Federal Bar in New Hampshire and is admitted to practice before the U.S. Bankruptcy Court, District of New Hampshire. Please feel free to call Sandy directly at (603) 226-7911. When a client is looking for a hard working and responsible advocate, one that will listen to their needs and work hard to advance their case, they look to Gregory Kalpakgian. Greg is exactly what you want when selecting a legal partner. He possesses the legal experience and knowledge of a top-notch attorney, but when combined with his tireless work ethic, he stands above the rest. Greg initially came to FAMILYLEGAL with a strong and diverse legal background. Having worked initially in a small local law firm, he was exposed to a variety of legal matters. With this background in mind, he knew he wanted to focus his legal practice in more narrow and specific areas of the law. Areas of law where he had a strong interest and knew he could make a difference in the lives he touched. At that point, Greg set out to become affiliated with a law firm that was highly respected and would offer him the ability to be the best attorney possible. He immediately focused on FAMILYLEGAL. His reasoning was simple, "The attorneys at FAMILYLEGAL are highly respected in the legal community and they are considered one of the top progressive law firms in the area." "In my practice I initially see people at their worse. My objective is always to see what positive change I can bring to their lives through my professional efforts. FAMILYLEGAL gives me that opportunity each and every day. Every day is a challenge. My clients are handing over to me the biggest problems in their lives and they need me to fix them immediately. I could not imagine a better job." Greg's clients value his listening skills, work-ethic, and his positive attitude. Greg understands the important role he plays in his client's lives. Because of this your telephone calls get answered. Your questions and concerns get addressed. Greg offers a Free Initial Consultation to all new clients. This Consultation allows him to sit down with individuals, listen to their story, discuss their options and, if necessary, map out effective strategies. His legal strategies are custom tailored to each client's specific situation and are designed to bring about positive results. Please Feel free to contact Greg Kalpagian today at: (603) 225-3360. Jay Markell is a Senior Attorney with FAMILYLEGAL. He focuses his practice in the areas of: Divorce & FAMILY Law, and; Criminal Defense. Attorney Markell began his long career initially as a solo practitioner, assisting clients in New Hampshire and Massachusetts with a variety of legal matters. However, believing in the core fundamentals that comprise FAMILYLEGAL, Attorney Markell was one of the first Attorneys to become affiliated with the Firm upon its conception and he has been instrumental in the Firm's development and reputation as an industry leader. DIVORCE & FAMILY LAW: Coupled with many years of non lawyer experience, Attorney Markell brings a world of experience to the family law practice area. He explains, "Clients are more than just papers filed with a court, and more than just faces. Clients must know that there is hope in light of their current situation and that their Attorney understands their needs and will effectively work to appropriately resolve their outstanding issues." CRIMINAL DEFENSE: As a tireless champion of the rights of the accused, Attorney Markell understands how intimidating a criminal charge can be. As a member of the Criminal Justice Panels of the United States District Court in New Hampshire and the Criminal Justice Panel of the United States Court of Appeals for the First Circuit (which encompasses Maine, Massachusetts, New Hampshire, and Rhode Island), Attorney Markell has dealt with serious federal crimes including drug offenses, money laundering, conspiracy, obscenity, internet crimes, bank robbery, and others. Your choice of an attorney is a very personal decision when it involves virtually any legal matter. For an effective attorney-client relationship, there must be a good attorney client "fit." This means the attorney should understand the client's needs, with real world experience and exposure to real world and life issues. This is a great aid to the client's case. It also greatly aids in the successful resolution of the case. If you have a legal issue, feel free to call Jay directly at (978) 291-0054.